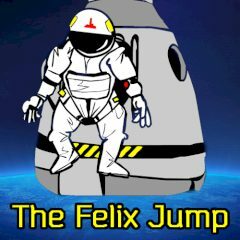 Poor Felix wants to come back home to Earth. But his spaceship is broken and he has to jump all the way down. Help him reach his home, collect bonuses and do not lose anything.